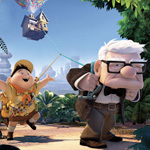 This weekend, Pixar Animation Studios will be releasing its 10th feature film, “Up.” For many, with the film having successfully opened this year’s Cannes International Film Festival, the occasion has marked another milestone in the studio’s continued maturation. So it seemed as good a time as any to look back on the last 14 years of Pixar product and dedicate an installment of The Lists to the studio’s esteemed portfolio. Of course, unlike other editions of this feature, there are only 10 entries to fill the collective. But the order will be different for everyone. “WALL-E,” for example, was a major high point for many last year. Not as much for me. “Monsters, Inc.,” on the other hand, isn’t considered top tier Pixar to some, but as you’ll note below, I beg to differ. In addition to the features, I thought it might be fun to rattle off a ranked list of the 16 shorts the studio has produced, going all the way back to 1984’s “The Adventures of Andre and Wally B.” Some of them appeared in theaters alongside feature films, others might have popped up on home video as bonus features. You can see nearly all of them on the recently released “Pixar Short Films Collection: Volume 1” on DVD and Blu-ray. The most recent addition to this collective is “Partly Cloudy,” which plays along with “Up” in theaters. On to the list. Be sure to give us yours in the comments section below. Pixar’s second feature film is probably the studio’s most disposable. Unlike the majority of the Pixar portfolio, “A Bug’s Life” wasn’t able to rise above the simplicity of another gimmick setting and actually mean something. It was, essentially, just an amplified telling of the old ant and the grasshopper fable. All of that said, the film showcases typically beautiful animation and sported one of the more creative ensembles of the films on this list. Plus, who doesn’t want to hear Denis Leary as a ladybug? But ultimately, the film may have collapsed around a rather forgetful voice performance from Dave Foley as the film’s lead. The studio’s seventh endeavor was met with an uncharacteristically blasé critical reception in the summer of 2006. But even though “Cars,” Pixar honcho John Lassseter’s third directorial effort at Pixar, is fairly low on my list, I was nevertheless impressed by its dedication to a rather intriguing message. Perhaps the gloss on the film was too bright to allow it any breathing room, but the idea of reminding children (and perhaps many adults) of America’s fading industrial landscape could be the studio’s most relevant to date. And sue me, Larry the Cable Guy stuck the landing. Never thought I’d write those words. When I saw Brad Bird’s follow-up to “The Iron Giant” in the Fall of 2004, I must say I was a bit disappointed. Pixar’s sixth feature, “The Incredibles,” was so hellbent on being an action fun-fest that the thematic virtues couldn’t poke through to the surface. The result was a somewhat long-winded (the film clocks in at 115 minutes, short of “Cars” by 60 seconds) exercise in exploiting the senses. There’s nothing particularly wrong with that, of course, but typical of Bird, there is so much to work with from a pure story standpoint that some more dedication to the subtext would have been appreciated. Anyone who frequented the site last year is well aware of my status as Satanic evil-doer for not flipping my lid for Pixar’s ninth effort. Of course, anyone who reads closely also knows that accusations of disavowal of the film were misplaced and merely the inevitable residue of a fan favorite sparking the awards season. In any case, “WALL-E” probably features Pixar’s most endearing protagonist and one of the more pertinent messages of the studio’s portfolio. While the narrative begins to unravel for this viewer somewhat in the film’s second half, it is regardless a joyful tale that showed Pixar has guts. Pixar’s 10th feature finds a secure place near the mid-point of the list, which says a lot about the film. “Up” is as engaging as any other film here, perhaps funnier than the rest and a hell of a ride, but what keeps it from the top tier of the studio’s output is, similar to “The Incredibles,” a buried subtext that becomes suffocated by the admittedly rapturous goings-on of the plot. A somewhat questionable villain doesn’t help matters, but in many ways, “Up” is at least able to overcome these pitfalls with a wildly inventive yarn and a humorous cast of characters. The film that announced Pixar’s arrival in the summer of 1995 is still one of the very best, most essential, creative and emotional gifts the studio has provided to date. “Toy Story” found its roots in the 1988 short “Tin Toy,” but it expanded greatly on that film’s ideas of a child’s relationship with toys and the innovative “what if” of a community of playthings. Spawning a sequel four years later (and a third installment still to come), the franchise is clearly a flagship and for obvious reasons. It packs one of the studio’s better ensemble casts and a valuable message that goes a long, long way. When I sat down to re-watch Pixar’s films for this retrospective in recent weeks, it occurred to me that I had not given Pixar’s fourth effort a second look since release. I recall being somewhat underwhelmed when it hit theaters in the Fall of 2001, but another viewing seems to have hit me just right. On the surface, “Monsters, Inc.” is just another gimmick yarn about a community of “fill in the blank,” monsters this time, after the studio had great success with toys and bugs. But lingering between the lines are ideas as varied as the power of laughter and (quite pertinent) dependence on energy resources. I sometimes go back and forth on whether Pixar’s third feature, “Toy Story 2,” is a better film than its predecessor. One can surely make compelling arguments either way, but I generally find myself siding with the sequel more often than not because it is a bit richer and it took the material in a unexpectedly creative new direction. The idea of toys being relegated to collector’s items is, in some ways, the obvious avenue, but what that idea had to say about notions of relationships developed in the 1995 original is what the Pixar crew tapped into beautifully — all under the guise of a rescue film, no less. For me, there are really only two films that stand head and shoulders above the rest of the Pixar output, showcases of thematic and storytelling power that transcend the perceived limitations of animation and make the case for their classifications as films first, animated films second. The first is the studio’s eighth feature, one that admittedly took me a couple of viewings to warm to. Via one hell of a captivating narrative that puts a tremendous amount of focus on character, Brad Bird’s spin on the “be yourself” meme took flight in the summer of 2007 as the most critically acclaimed film of the year. 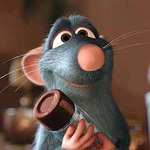 Speaking of character, the one film from the Pixar stable that utilizes character to convey theme while featuring voice performances worthy of awards recognition is without a doubt the studio’s fifth effort, “Finding Nemo.” Along with “Ratatouille,” the film features the most beautiful animation of the lot, sports a compellingly dramatic score from Thomas Newman, situates its message in every nook and cranny of the piece and, quite frankly, should have landed a Best Supporting Actress nomination for Ellen DeGeneres, who along with Albert Brooks, took the viewer on an engaging ride from start to finish in this, Pixar’s greatest achievement to date. The rest, I can’t be bothered to rank. Degeneres annoyed the hell out of me in Finding Nemo (playing dumb for 90 minutes…ugh), and Brooks offered up little more than warmed-over shtick. The material in the fish tank was better, but it’s a film that, despite looking very pretty, I’m awfully ambivalent about. Monsters, Inc: Clever premise, but too much tedious ad-libbing (at least it seemed that way) from Crystal, and it drags once they’re out in the snow. A Bug’s Life: Barely remember it. Will be seeing Up in 3D on Friday. It could very well crack my Top 5, given the run that Pixar’s on right now. InSneider: Jeez, man, don’t whine so much. Shocking but it took a whole 47 posts before we actually had someone come in here and be negative in a Pixar ppost. A PIXAR POST! I love “Toy Story.” It doesn’t have the depth of “Nemo,” the storytelling power of “Ratatouille” and is just barely edged out by “Monsters, Inc.” (which has a more pertinent message). And like I said, I go back and forth on whether “Toy Story 2” is better than its predecessor. Those three, though, are largely interchangeable for me and I’m sure if I watched them all again and did this next year, they might be in a different order. Then again, maybe there’s a REASON you and redwine are the only ones listing “Toy Story” at #1? Just sayin’. When was the last time you watched all of these films, anyway? After all, reminiscence beats out the critical eye 10 out of 10 times. Also, if you don’t think Nemo and Ratatouille have good stories, I don’t know what to say. Kris, I didn’t think my post was negative. 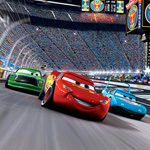 I LOVE PIXAR (except for Cars, which was forgettable). I LOVED Ratatouille and I thought NEMO was very good. Didn’t mean to imply I didn’t like their stories. Just personally, Nemo didn’t have the same impact on me that Toy Story did. 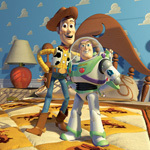 After all, Toy Story is on the site’s list of 20 Most Influential Films. But you’re absolutely right about reminiscence trumping the critical eye. It’s certainly been a while since I watched NEMO. 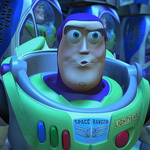 But I have gone back to Toy Story and it still holds up as the best for me. I just thought you were shortchanging the original Toy Story on your list but to each their own brotha. Anyway, I obviously wasn’t short changing it since I considered everything from 5 up to be “top tier Pixar.” And, like I said, it’s totally an interchangeable list for me from 5-3. I think my list is a bit different than a lot of the ones in the comments here – I’m a big Wall-E supporter. 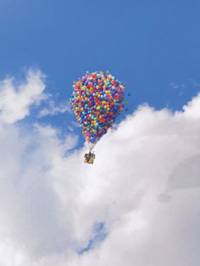 To the guy who asked about Toy Story 3’s trailer – yes it was attached to my screening of Up. The short before the Up was spectacularly as well , really funny stuff. The 3D was really surprisingly effective in UP (and by effective I mean I forgot I was wearing the stupid glasses). Wow…I need to think about a ranking of the Pixar shorts. Meant to say ‘again’ in the Monsters, Inc comment, d’oh! I thought it was pretty much agreed by both fans and critics alike that Cars was far and away Pixar’s worst. Obviously not a unanimous opinion. I agree with the list except I enjoyed The Incredibles more, and after subsequent views I’m not as taken by the first Toy Story as I used to be. The film really drags when the toys are taken to Sid’s room. Still, it’s one of the most influential films in animation history and its voice work is fantastic. My favorite two are also Ratatouille and Finding Nemo, with the former just eeking out the latter. FYI, I forgot to mention this but I recently added “Partly Cloudy” to the shorts list, now that I’ve seen it. Quite the let-down. 1. Toy Story – The original is still the best. 2. 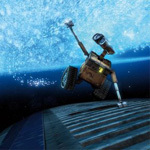 Wall-E – Shame on you, this was a total classic. 3. 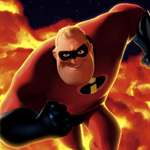 The Incredibles – SO much more than just the action flick you claim. 4. Up – The first 10 minutes are unbelievable. 5. Ratatouille – A food lovers dream. 6. Monsters, Inc. – Very good film, but especially the relationship between John Goodman and Boo is the great part. 7. 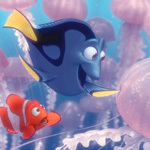 Finding Nemo – A terrific film, but a bit overrated by some of you. 8. Toy Story 2 – A worthy sequel. 9. Cars – Much better than some of you have indicated, but not as classic as some others. 10. 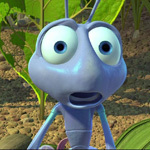 A Bug’s Life – The only so-so film Pixar has made. The top 5 are interchangeable for the most part. PIXAR is just too good at what they do to rank their work.